Fine dining is not dead—but it may be undead. 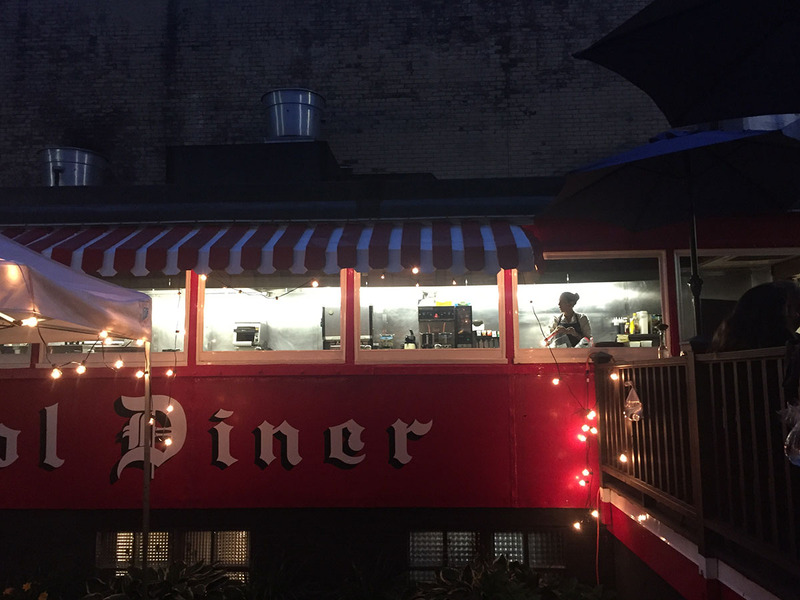 Nightshade, a North Shore pop-up led by chef Rachel Miller and sommelier Kelsey McCallan of Catalyst, both Clio alumnae, is transforming Lynn’s iconic Capitol Diner into a zombie-run restaurant for an All Hallows’ Eve sparkling wine dinner on Sunday, Oct. 29. The latest Nightshade dinner is a little sillier, but also a little more elegant than the fairly new venture’s past events. Nightshade offers private dinners, and since June, has hosted ticketed pop-ups at venues from Lynn to Salem. Miller, who also has a day job at a Vietnamese restaurant where she lives in Lynn, says she and McCallan started Nightshade to continue providing the style of food, coursed dining, and thoughtful wine pairings they provided at Clio, but this time for the relatively underserved North Shore. “Everyone talks about how they want a nice restaurant on the North Shore, but it’s hard. Nightshade is a trial to see if the type of service we want to do will work here,” she says. And honestly, she just misses Ken Oringer’s seminal fine-dining establishment. Miller knows other restaurateurs are getting out of fine-dining—Oringer himself included—but that doesn’t bother her. Plus, going the pop-up route affords her lower overhead costs. While selling tickets in advance is challenging, and she’s learned to always prepare for a sellout even if advance tickets sales don’t promise one, Nightshade has been successful thus far, Miller says. “We have the ability to shape-shift as we go, and continue to do that as we develop exactly what our style will be for a brick-and-mortar,” she says. So far, Nightshade has built menus around bright, umami, Vietnamese flavors. It’s Vietnamese-inspired, the way Clio was Japanese-inspired, Miller explains. “We did a taro root vegetable terrine for one of the pop-ups, bound with coconut cream, and seasoned with fish sauce, lime, and garlic. It’s a flavor profile you’d recognize in a Vietnamese dish, but it looked more like a classic French dish,” she says. 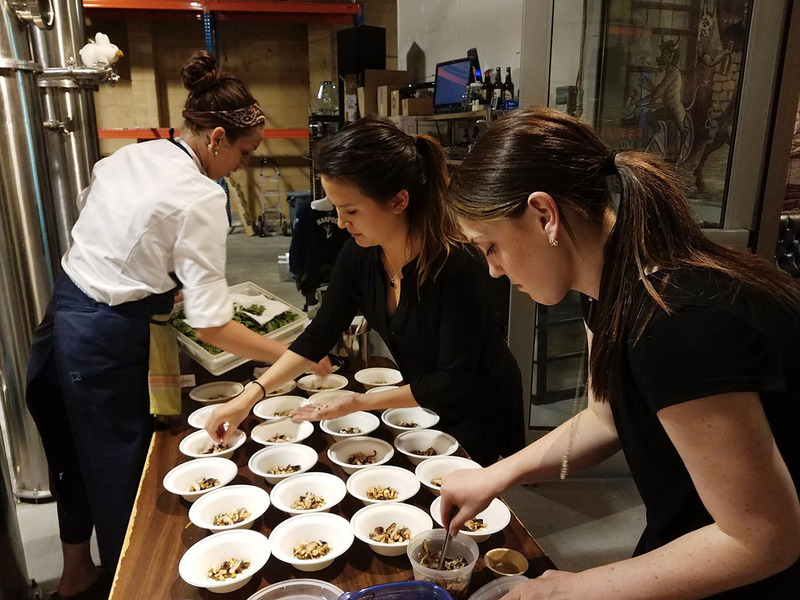 For the latest dinner, Café ArtScience pastry chef Giselle Miller (no relation to Rachel) will join Nightshade’s kitchen team of four, and present two sweets alongside Miller’s five savory courses. McCallan, who is also the assistant GM at Catalyst, has selected seven sparkling varietals. When they started brainstorming Halloween ideas, a sparkling wine-focused, zombie-themed feast nailed it. As restaurant industry lifers, they don’t usually get to dress up, Miller says. Check out the full menu below, and find tickets on Eventbrite. Follow Nightshade on the web, and on Facebook and Instagram to stay in the loop about other upcoming pop-ups, and its plans to bring a new era of fine-dining to the North Shore. $75 + $60 wine pairing (includes gratuity), Nightshade Halloween @ Capitol Diner, Sunday, Oct. 29, seatings at 6 and 8:30 p.m., 431 Union St., Lynn, Eventbrite, nightshadens.com.